When he’s not changing the way audiences look at what television can do, Louis CK still does the occasional stand-up set. 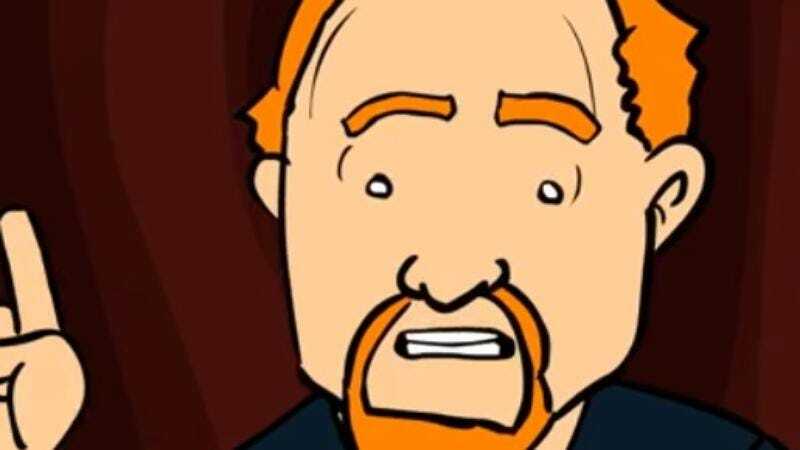 Recently, Canadian film student and YouTube user John Roney began animating select Louis CK stand-up bits. While not in “squigglevision,” the clips do harken back to Comedy Central’s animated series, Dr. Katz, Professional Therapist. That’s apt, because Louis CK was a regular visitor to Dr. Katz’s couch during the show’s run in the 1990s. Roney’s animated shorts are synched to two bits from Louis CK’s 2011 stand-up set at the Beacon Theatre in New York. The two clips, titled “If God Came Back” and “White People And Indians” feature an animated CK hollering at dumb white people in his wry, frustrated style. These two clips won’t be featured on Disney XD anytime soon but should be in the wheelhouse of fans of Adult Swim and Louie. In addition to the Louis CK bits, Roney’s YouTube channel also features clever Garfield and Teenage Mutant Ninja Turtles parodies.